It is not uncommon to find mold growing in the bathroom. However, it can be very disturbing to walk into a bathroom that has molds. Bathrooms are smaller rooms in the house and as such, they tend to hold more moisture as compared to other places. The frequency of bathroom use is also an additional factor that influences mold growth. A bathroom that is used more often is likely to have mold growth around the bathtub, sink and shower owing to excess moisture. Poor ventilation leads to excess moisture in the bathroom, which triggers growth of mold as it is a conducive condition for them. Here is a look at some of the ways of dealing with mold growth in the bathroom. For a fact, water that somewhat dries out in the bathroom ends up as moisture. This raises the humidity level in the bathroom making it a conducive place for mold growth. Bathrooms are not usually well ventilated and the excess moisture easily gets trapped on surfaces such as walls. The surfaces end up being moist allowing mold to grow. A good ventilation system installed in the bathroom can help reduce the amount of moisture buildup, which encourages mold growth. Therefore, if it is in your budget to do so, install an effective ventilation system. You should keep a clean bathroom to keep molds from growing and spreading. On that note, you need to ensure that the bathroom is cleaned on a weekly basis. Clean up the bathtubs, showers, sinks and toilets. In addition, you can wipe away excess water after you have used the sink or shower. This will help minimize the level of moisture in the bathroom and keep molds from growing. If mold is growing in the bathroom drains, you will be able to see or smell it on most occasions. An effective way of getting rid of mold in the bathroom drains involves pouring vinegar. Once you have poured vinegar into the bathroom drains, you should allow it to sit for 20 minutes before you finally flush it with water. Bleach can also work. Simply ensure that it used at least twice per cleaning. It is not easy to access the main drains and as such, cleaning can be a little difficult. If you are worried about mold growth in the drains, you can get a professional plumber to remove them for effective cleaning. Blocked drains mean poor water drainage in the bathroom. You will often see molds if you have this problem at home. This is because standing water in the bathtub and sink drains makes things worse. Standing water causes more moisture buildup. You can deal with blocked drains by finding an effective drainage cleaner. If the cleaners fail to work, you will have to find a plumber to come and unblock the drains so the water can flow freely. If you have a number of items in the bathroom, you will definitely find mold growing on them provided there is moisture and other conducive conditions. You will see mold growing on bottles of shampoo, body wash, and conditioners among other items. 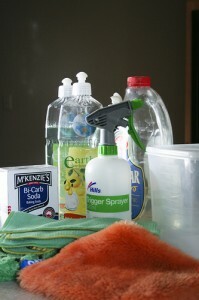 As you clean the bathroom on a weekly basis, ensure that these items are also cleaned. The most effective way of reducing mold growth in the bathroom is ensuring that there is no moisture buildup. If you have a bathroom fan, ensure that it is on every time you shower. If the mold problem is really serious, you can hire a mold removal contractor in Toronto. A contractor will take effective mold eradication approaches that will remedy the situation in your bathroom as well as the entire house. November 30, 2016 in Bathroom Mold and Mildew. Bathroom Mold – When do you need a professional?